Tattoos have come a long way. From being marks of renegades, as well as outlaws, to being a cultural norm. However, people change. Trends, change, too. Sometimes a tattoo once cherished, and loved, becomes a nuisance. You’ve changed, some people have left your life and others came, and different things begin to matter more. 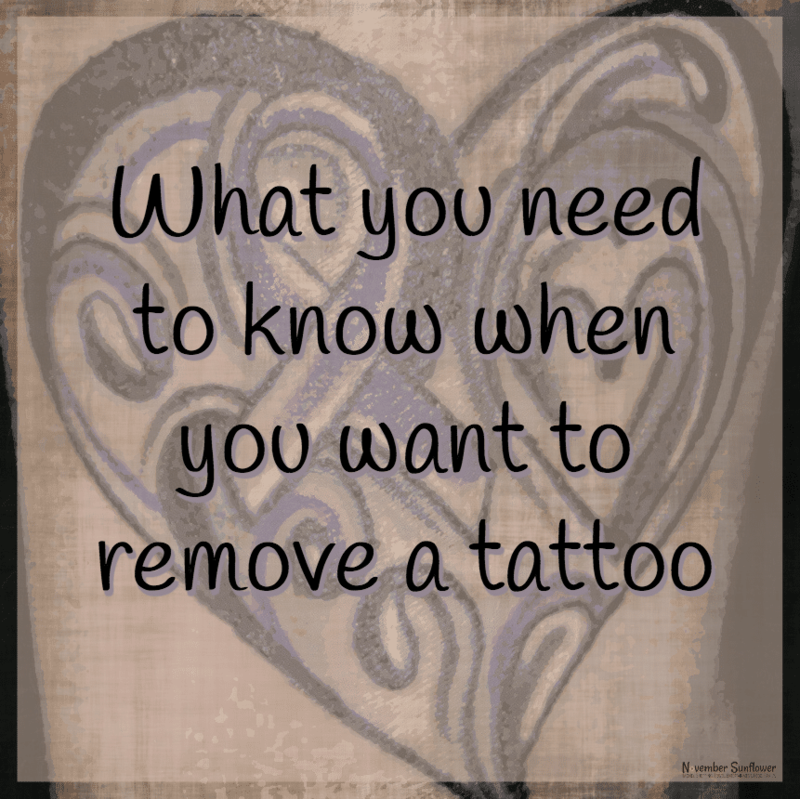 Whatever the reason may be, sometimes you simply want a tattoo removed, and when that happens, here’s what you need to know. The quickest, and easiest, way to remove a tattoo is to cover it with makeup. It’s not a permanent solution, but for a quick fix, makeup is the answer. Liquid foundations aren’t any good though. For real coverage, it’s a must to find high-quality makeup. Dermablend professional has amazing tattoo cover up products. Their ad has gone viral, which says a lot about their products. However, covering up your tattoos with makeup isn’t a long time solution. Skin needs to breathe! Dermabrasion is a cosmetic procedure used to rejuvenate your skin. However, it’s also a good way to remove a tattoo. If you go this route, you’re given a local anesthetic, A.K.A. numbing spray. Once the spray does its job, skin is, excuse the image this will bring up, sanded down. I know. However, it has to be done! It’ll reveal the clean skin underneath the tattoo. The downsides of this option? Usually, bleeding and soreness, and the recovery time is approximately two weeks (sometimes less). The ink leaches out, so an ointment has to be used to make sure the treated skin heals better, and faster. Covering a tattoo up with makeup, or minor cosmetic procedures, is safe and easy. However, a doctor will probably advise getting a laser tattoo removal done professionally for a permanent fix. Cosmetic surgeons, and dermatologists, will tell you it’s the best, and most popular, technique. Keep in mind, laser tattoo removal can be painful, and can leave a scar on the treated area. It’s not a one session kind of experience, either. Laser treatments require several sessions in order for the ink to be fully removed from your skin. It depends on the kind of ink you have been using, its color, and the type of tattoo, as well – whether it’s full black or in color, and whether there are any fadeouts. If your tattoo is not too big, and not in an inconvenient place (for example your face), you can have it surgically removed. Surgery tattoo removal means the entire portion of your “inked” skin gets removed, leaving you with a small scar. Even if the tattoo is large, it’s still an option. It does require more than one treatment, as well as a possible skin graft. It also means a longer recovery time, and some stitches. The decisions we make have impact on our lives, minor or major ones; and, getting a tattoo is one of the most important ones. It’s no longer 100% permanent, but it might as well be after finding out how difficult it is to have ink removed! Before you make the final decision, be it a decision to have a tattoo or to remove one, make sure you’re well informed and that the procedure is conducted safely. Author Bio: Diana Smith is a full time mom of two beautiful girls very passionate when it comes to exercising, healthy dieting and alternative medicine. In her free time she enjoys exercising and preparing healthy meals for her family. Read more about beauty on NovemberSunflower.com.